I popped into H&M yesterday, where they had the prettiest range of jewellery I have ever seen them stock, so I decided to treat myself to a couple of pieces. Normally, I am a fan of silver for all my jewellery, but I have wanted to branch out for a while now. 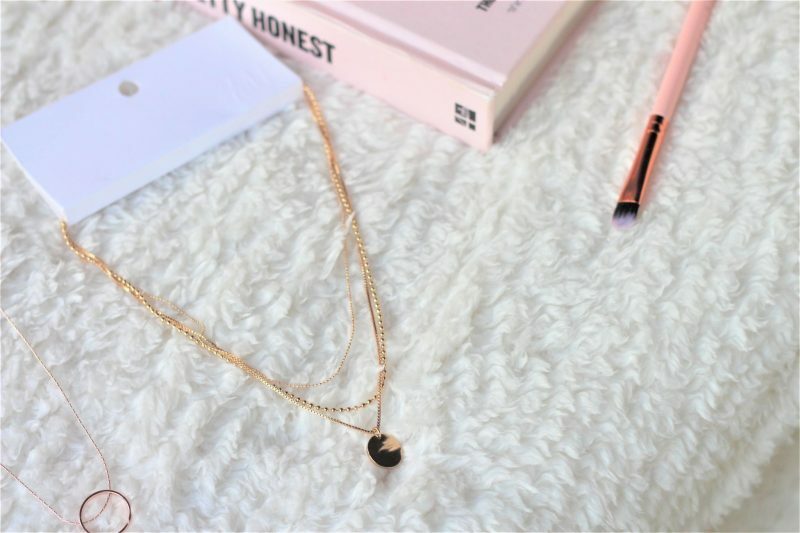 Often the only item I’ll wear is a necklace, so I went for one in gold and one a pretty rose-gold colour. First up, I picked this beautiful rose-gold necklace. Like so many others, I have an obsession with copper tones! This is a lovely light colour though, and it looks so elegant worn. 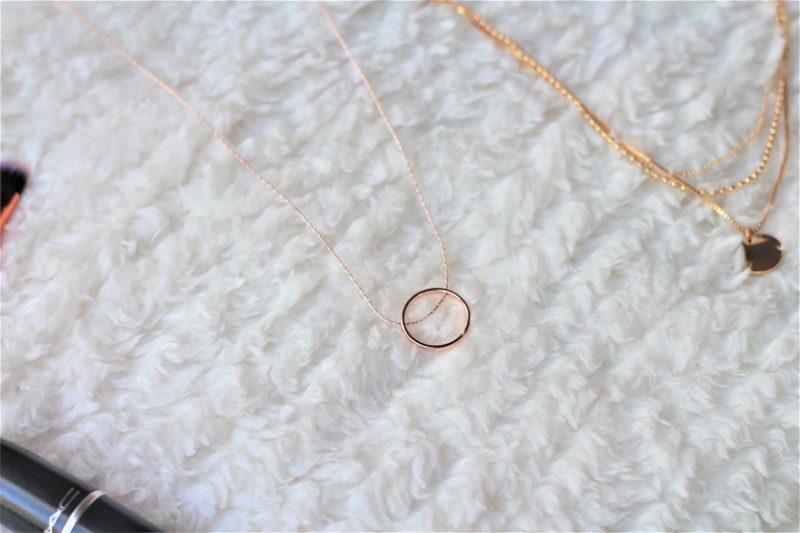 There is a lovely thin chain, with a ring-sized circle as the focus, which looks delicate and understated. I like things simple but pretty, and this definitely ticks both those boxes. It sits in just the right place around your neck, and I feel like this would looks so pretty with a crisp, white shirt. But I love rose-gold against grey and black too, as it really stands out without being ‘showy’. 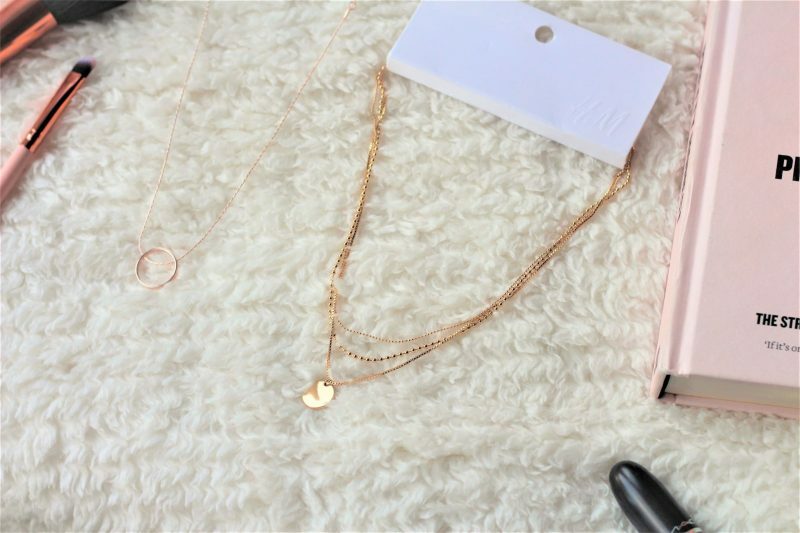 Then I couldn’t resist this gorgeous gold trio of necklaces! These are all attached to the same clasp, but gives a pretty layered effect, without any tangled chains. As I said, usually I never reach for gold accessories, but I just imagined wearing this in the summer with a tan and maybe some gold and turquoise jewellery too, reminding me of a Greek Island (I think I need a holiday!) I feel like this is one of those pretty pieces that you can pop on with any outfit, for an effortless, put-together look. 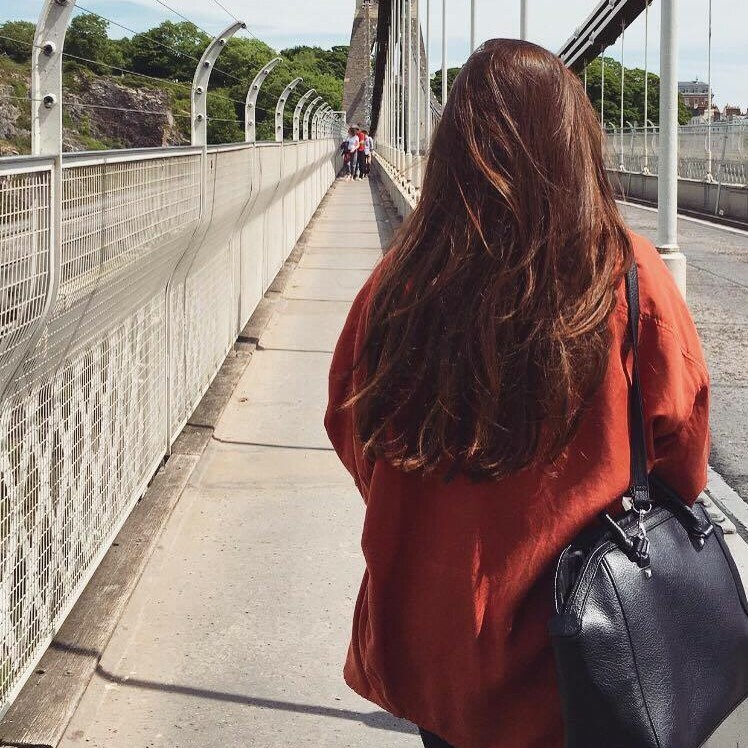 Where are your favourite places to shop for pretty accessories? I love your choices you can’t ever go wrong with rose gold and gold! I’m in love with the ring shaped one, I used to have one and I wore it almost every day!! Good ol’ H&M, they never disappoint.